As you've probably noticed, I haven't come out with anything new since the holiday line. That doesn't mean I haven't been thinking about it. In fact, I've been itching to get creative again for months, but I've put the idea machine on hold in order to get some necessary to-dos crossed off the list. The good news is, as of this week, my taxes are submitted, my sewing machine is tuned up and I have a pile of new fabric I can't wait to cut into. It's time! 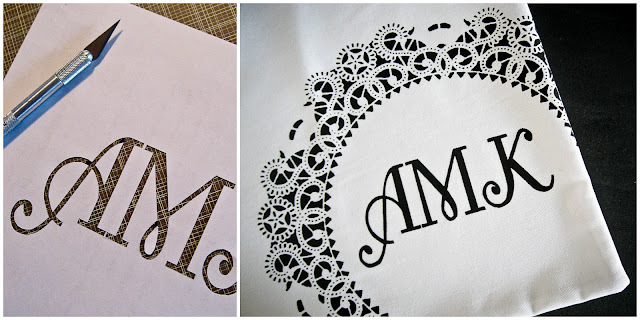 While I'm busy cutting and piecing and sewing and photographing (yay! ), I thought I'd show you some of the custom pieces I've created over the past few months. Maybe they will spark an idea of something you'd like to request. These all came purely from customers emailing me with their ideas, saying "by any chance, could you...", which just goes to show it never hurts to ask. 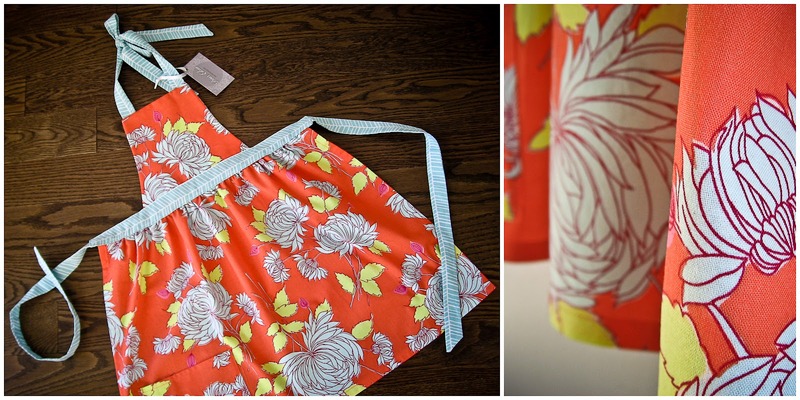 It may be hard to tell the scale from these photos, but this is a tiny apron I designed for an 8-year-old girl. 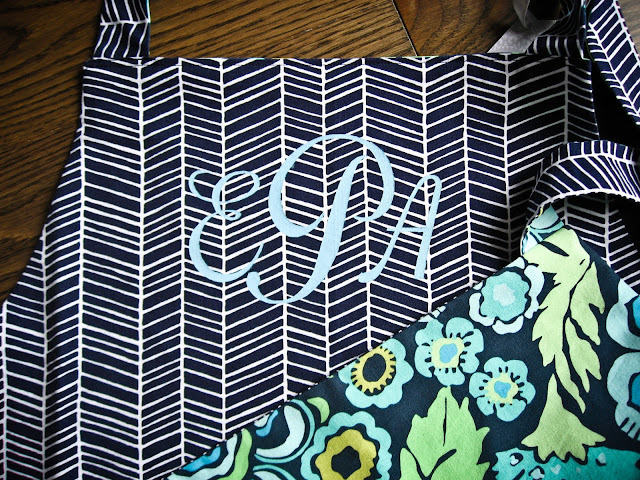 The customer I made it for had already purchased an adult-sized reversible apron in these two fabrics and then came to me with this request for a matching mini version so they could be given as a set to a mother and daughter. Everyone together now... awwww! 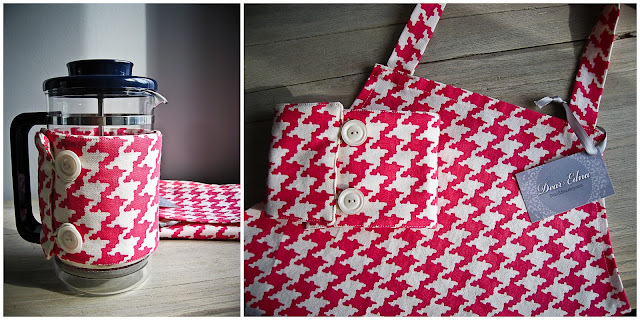 I'm tossing around the idea of making these "little girl aprons" a regular item for sale in my shop. What do you think? 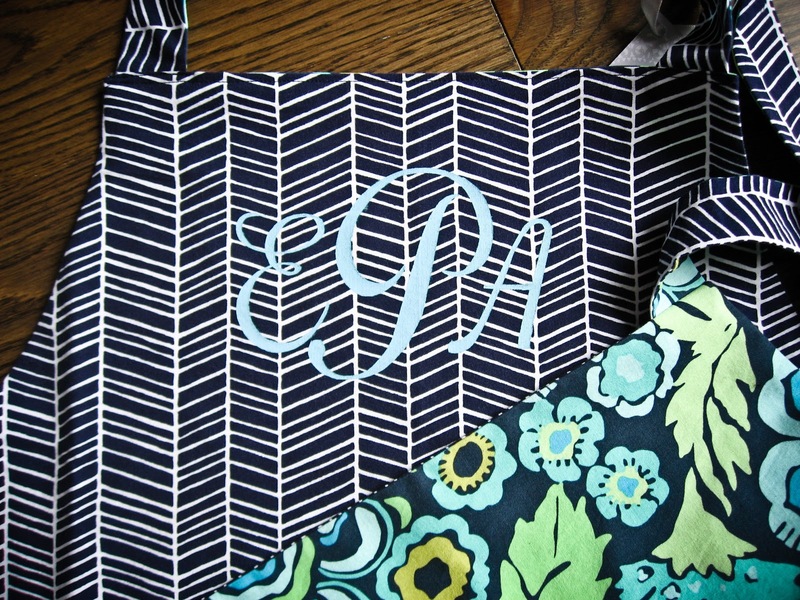 Besides size alterations, the most common custom request I get is for monogramming. 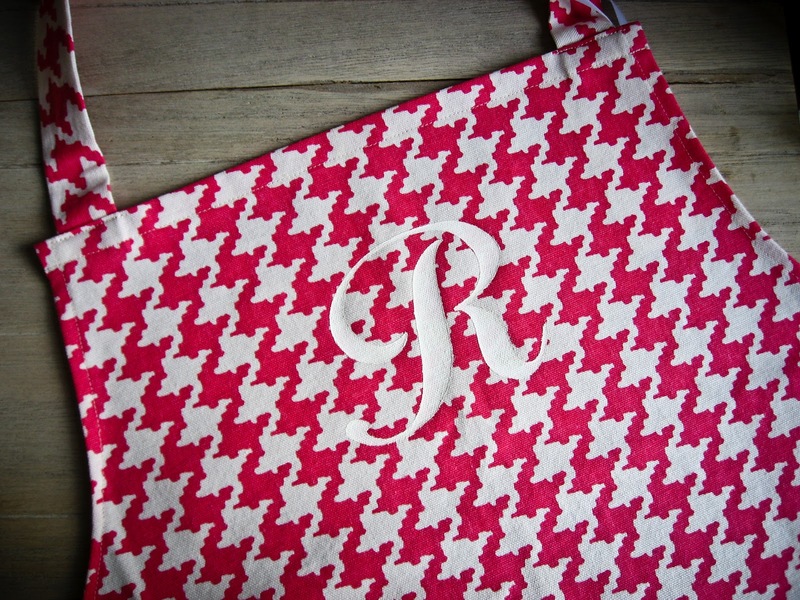 I don't have an embroidery machine, so I always offer to stencil the monogram with textile paint, the same process I use to print my totes. A few customers have taken me up on it, and I'm so glad they did, because I think they turned out really great. Coffee cosies. 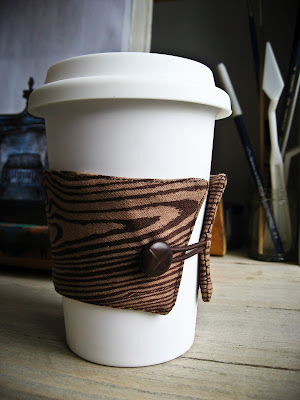 A more accurate description would be coffee sleeve, but I like alliteration, so coffee cosy it is. This woodgrain one wasn't exactly a customer request — I made it for my Mikey J for Christmas. Apparently it's been quite the talk of the farmer's market. Apparently. This houndstooth French press cosy was purchased along with an apron so they could be given as a matching set. My customers are such clever and thoughtful gift-givers. 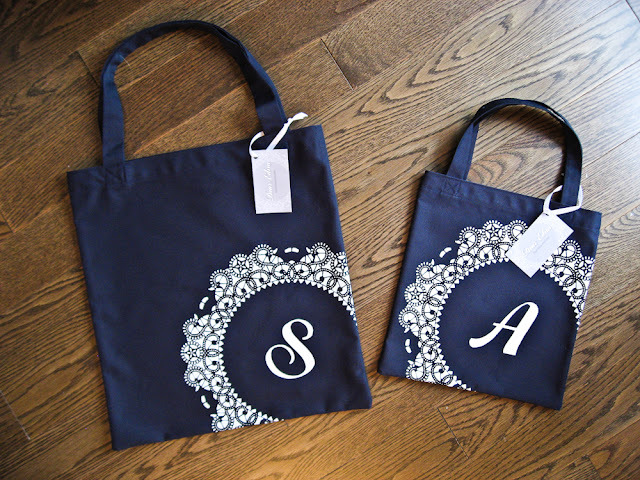 A mini doily tote for a flower girl. Too cute. An extra large tea cosy for an extra large tea pot. 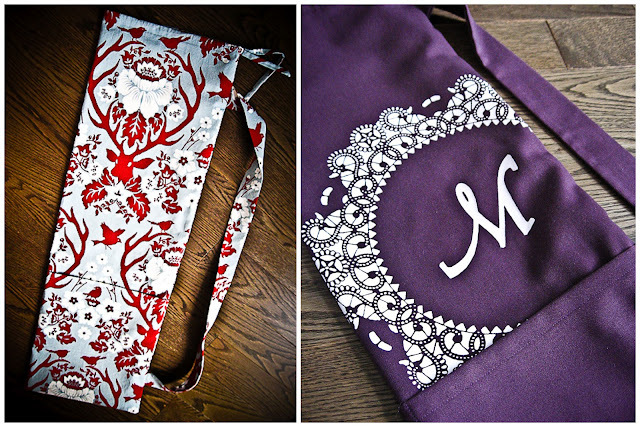 If you were here when I first started my business, you may remember that I sold yoga bags alongside my aprons, totes, and cosies. 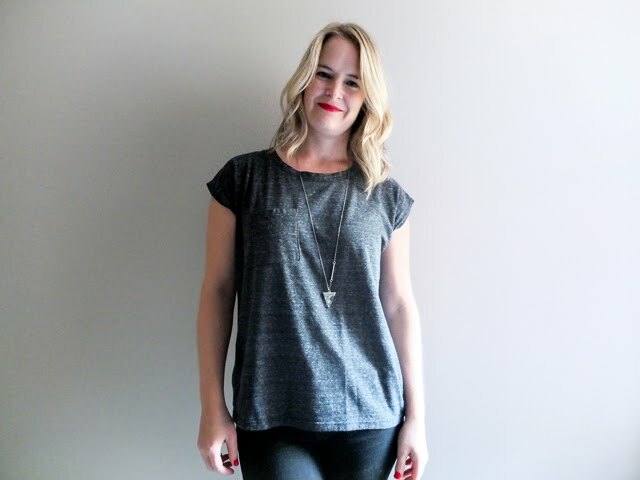 It didn't seem like a great fit for my brand, so I stopped listing them in my shop. However, that doesn't mean they're completely off the menu. I'm still more than happy to make them by request. Love this! Brilliant and just darling!